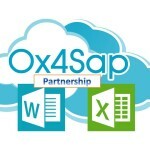 Ox4Sap is SAP 3rd party product that makes Microsoft Office documents easier to create and manage with SAP functionality. We are looking for partners to sell and implement Ox4Sap solution within SAP customers and maximize value from existing investments in SAP and Microsoft Office within organizations. in the SAP environment, please contact us. 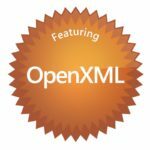 Ox4Sap will support partners in all aspects of the Ox4Sap product.